The Hand That Feeds - Upstate Films, Ltd.
Join us Saturday, January 27th at 11am for a free screening of The Hand That Feeds. The screening will be followed by a panel discussion anchored by Suzanne Adely from the Food Chain Workers Alliance, Rosanna Aran from the Laundry Workers Center, Catherine Barnett from Restaurant Opportunities Centers United, and Emma Kreyche from the Worker Justice Center of New York. Donations taken at the door (Suggested donation $10) will go to support the Food Chain Workers Alliance. 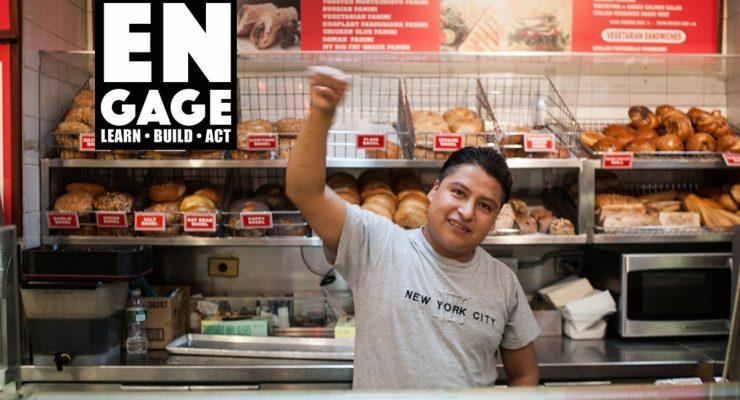 In 2012, sandwich maker Mahoma López wasn’t getting what he deserved from his job at the Hot and Crusty Deli, a grab-and-go eatery on Manhattan’s East Side. Like many undocumented immigrants who are legally entitled to rights that apply to all working people in New York State — whether they’re documented or undocumented — he wasn’t receiving a minimum wage salary, paid overtime, vacation, sick days, or respect from his manager. But when he and his co-workers teamed up with a crew of organizers, they took the unusual step of forming their own union. Risking deportation and the loss of their livelihood, the workers launched themselves on a campaign to win a contract that would set a historic precedent across the country. In The Hand That Feeds, filmmakers Rachel Lears and Robin Blotnick have created a rousing account of their campaign. The result is a film that compels us to think seriously about the contributions service industry workers make to our local economies, about the need for more civic discussion on the rights of undocumented immigrants, and about the breakthroughs men and women can achieve even when they’re risking everything. In English and Spanish with subtitles in both languages. En inglés y español con subtítulos en ambos idiomas. 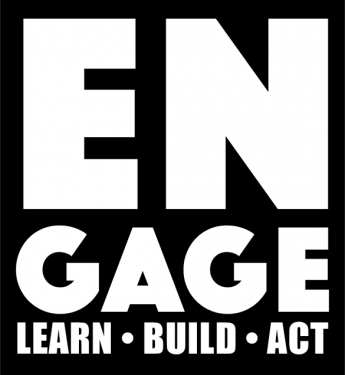 The ENGAGE series presents selected social justice documentary screenings at Upstate Films. Each film in the series touches upon an issue of our time. And each screening is followed by a panel discussion where attendees have the opportunity to learn more from people directly impacted by the issue. What is more, audiences leave with a card listing 3-5 clear next steps for how to take action in their community. Local groups are coming together to organize, underwrite, and present ENGAGE screenings, enabling the events to be presented for FREE. Donations are taken at the door (suggested donation $10) to benefit designated organizations working on the ground in the Hudson Valley. Únete con nosotros para una proyección de película grais, seguida por una discusión en panel con Suzanne Adely de la Alianza de Trabajadores de la Cadena Alimentaria, Rosanna Aran del Laundry Workers Center, Catherine Barnett de Restaurant Opportunities Centers United (ROC United), y Emma Kreyche del Centro de Justicia para Trabajadores. Sus donaciones son bienvienas (donación sugerida $10) y apoyará a la Alianza de Trabajadores de la Cadena Alimentaria. Mahoma López, un tímido trabajador indocumentado de deli, se junta con sus compañeros de trabajo para poner fin a las condiciones abusivas en una cadena de restaurantes de Nueva York, cuyos dueños son inversionistas poderosos. La lucha épica de poder que sigue convierte una sóla manzana de ciudad en un campo de batalla en las nuevas guerras de sueldo de los EEUU. En inglés y español con subtítulos en ambos idiomas.